If you have a sloped yard, a lawn mower capable of climbing the inclines with ease is a must-have lawn care tool. The advised models, therefore, are the self-propelled lawn mowers with rear or full wheel drive systems. Among all these lawn mowers available on the market, one that stands out is the Husqvarna Self-Propelled Lawn Mower HU725AWDBBC, a mower that not only has an incredible stability on slopes but that is easy to maneuver on any type of terrain. In this Husqvarna Self-Propelled Lawn Mower HU725AWDBBC review I’m going to talk about the features of this mower, so you can decide if this is the right tool for you. What to Consider Before Buying a Self-Propelled Lawn Mower? Self-propelled lawn mowers are ideal for homeowners who have medium or large size lawns. These mowers have the capability of moving by themselves, so you will only have to control the mower’s direction instead of actually pushing it. 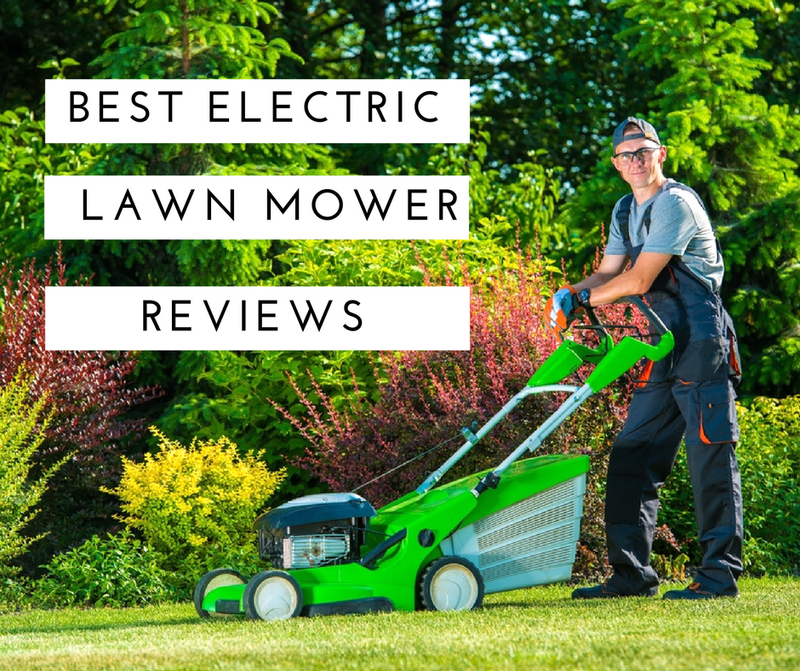 When it comes to choosing the right self-propelled lawn mower, you will basically have to choose between an electric lawn mower and a gas-powered lawn mower. Both models have their ups and downs, so you should always choose based on your personal needs. The electric models are environmentally-friendly and more silent, but they limit you either in terms of mobility (the corded models) or autonomy (the cordless models). The gas-powered lawn mowers are noisier and polluting, but you will be able to move freely and they are generally more performant in terms of cutting capabilities. Besides these considerations, you should also consider a few other things before buying a self-propelled lawn mower. First, you should consider the topography of your lawn. A front wheel drive lawn mower is more suitable for flat lands, being more maneuverable compared to the rear wheel drive or all-wheel drive counterparts. However, front wheel drive mowers don’t have excellent traction, therefore are unsuitable for sloped or uneven terrains. Equipped with a Briggs & Stratton 190cc engine and boasting all-wheel drive, the Husqvarna Self-Propelled Lawn Mower HU725AWDBBC is a lawn mower designed for the uneven terrains or sloped medium and large size lawns. Providing simultaneous power to all four wheels, this mower allows the operator to have a maximum control over the tool and increases the maneuverability. Made to last, the HU725AWDBBC boasts a heavy-duty 22-inch steel cutting deck equipped with the 3-in-1 cutting system of mulching, side discharging and rear bagging. To improve the user experience, this mower is also equipped with an ergonomic handle and a dual handle speed control. The feature I like best is the Blade Brake Clutch (BBC) that basically stops the blade from spinning while the engine continues running. This feature will allow you to pass over any obstacle, stop to empty the collection bag or remove any debris from the path without actually stopping the mower. However, like any other tool, the HU725AWDBBC also has some flaws. Let’s see the pros and cons of this lawn care tool. Powerful engine: Husqvarna equipped the HU725AWDBBC with a Briggs & Stratton 725ex 4-cycle 190cc engine with anauto choke for aneasier start. Wide cutting deck: it doesn’t matter how large your lawn is. With the 22-inch wide cutting deck, you will be able to mow all the grass fast and easy. Easy to clean: the deck is provided with a water hose connection designed for the easier cleaning. All-wheel drive system: the all-wheel drive system improves both the maneuverability and traction of the mower. The HU725AWDBBC has some plastic components that seem to be of low quality. Weighing almost 100 pounds, this lawn mower is a bit heavy. It is one of the noisiest mowers in its class. Designed to be used especially on sloped, uneven or slippery terrains, the HU725AWDBBC is a self-propelled all-wheel drive mower. This means that the power is evenly distributed to all four wheels, so you will be able to better control and maneuver the mower while it will have a better traction when climbing or descending inclines. You will be able to momentarily stop the blade if you have to clear up any debris from the path or if you have to cross over pathways or other types of obstacles, without actually stopping the engine. This will save you time and will increase the engine’s lifespan. This mower boasts a 22-inch cutting deck with a 3-in-1 cutting system. Therefore, you will be able to choose the preferred cutting option between mulch, side discharge or rear bagging.However, I should mention that the mulching is not one of the best, as the mower tends to leave small clumps of untouched grass. To achieve the best results when using the mulch option, you should reduce the cutting height and the speed. The cutting height can be easily adjusted by operating a single lever that is placed near the rear wheels. The mower features a four-point cutting height adjustment and the height varies from 0.82 to 4.06 inches. You will be able to choose the most suitable speed depending on your personal preferences or on the type of terrain you have to work on. Based on the type of the terrain, you should use a higher speed on flat lawns and reduce the speed on slopes or uneven terrains. The HU725AWDBBC is equipped with a water hose connector, making the cleaning of the cutting deck easy. For easier storage and transport, the handle is completely foldable. While most users define the Husqvarna HU725AWDBBC as being “awesome”, other complain about the weight or warranty. Nevertheless, this mower has an excellent rating, being considered one of the best self-propelled all-wheel drive mowers. You can check more Husqvarna Self-Propelled Lawn Mower HU725AWDBBC reviews. Produced by the same manufacturer, the Husqvarna 961450021 HU800AWDH is equipped with a Honda 4-cycle 190cc engine. However, even if the engine provides the same power, the HU800AWDH is more expensive compared to the HU725AWDBBC, while the overall performances of the two mowers are similar. Both mowers have an all-wheel drive system, but the larger rear wheels of the HU800AWDH improve the stability and maneuverability of the tool. When it comes to cutting performances, both mowers have a 22-inch steel cutting deck and the 3-in-1 cutting system. The HU800AWDH isn’t equipped with the Blade Brake Control, which makes the HU725AWDBBC more versatile. You can find out more about the performances and features of this all-wheel drive self-propelled mower here. Equipped with a Kohler OHV 149cc engine, this mower is less powerful than the HU725AWDBBC and is more expensive. The cutting deck is smaller than the Husqvarna’s but it has a large bag capacity. Both mowers boast the 3-in-1 cutting system, but the Lawn-Boy has a narrower cutting deck of only 21 inches. Both mowers are equipped with 8-inch front and rear wheels and have an excellent traction and maneuverability on all terrains. Weighing only 78 pounds, the Lawn-Boy is way lighter than the Husqvarna. Compared to the Husqvarna HU725AWDBBC, the Poulan lawn mower is less powerful, being equipped with a Kohler149cc engine. Similar to the HU725AWDBBC, the Poulan boasts four 8-inch wheels and all-wheel drive. Similar to the Husqvarna, the Poulan also has a 22-inch steel cutting deck with a 3-in-1 cutting system. When it comes to the weight, both lawn mowers weigh around 100 pounds. This mower isn’t equipped with the versatile Blade Brake Control. I find the Husqvarna Self-Propelled Lawn Mower HU725AWDBBC a versatile lawn mower, suitable to be used on all types of terrains and for all types of grass. The feature I like the most is the Blade Brake Control, which gives me the possibility to temporarily stop the blade if I encounter any obstacle in my way or if I have to empty the collection bag. Another feature I find impressive is the all-wheel drive system that distributes the power to all the four wheels, increasing both the traction and the maneuverability of the tool. The mulch capability of this mower should be improved, but that is not such a big deal. However, the overall performance makes this mower one of the tops in its class. So if you’re looking for a new mower for your sloped or uneven lawn, you should consider this mower. Here you ﻿﻿can ﻿﻿find out more about its features and price.